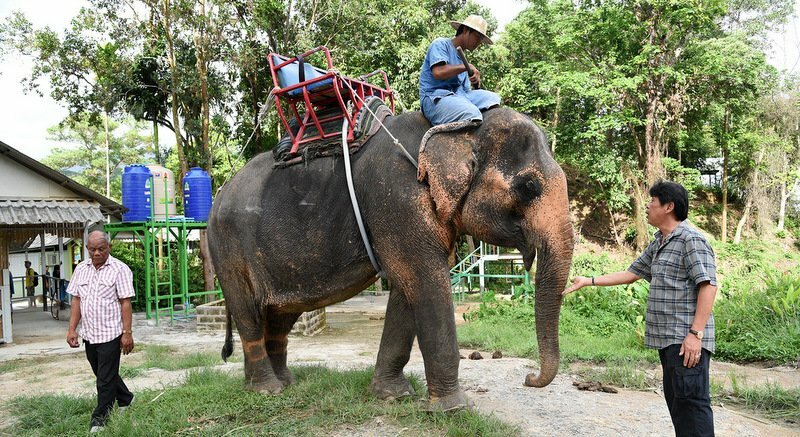 PHUKET: The battle for ownership rights of a female elephant at a Phuket safari camp has taken another twist with the camp now presenting to police a registration document for the same elephant, but with a different name. 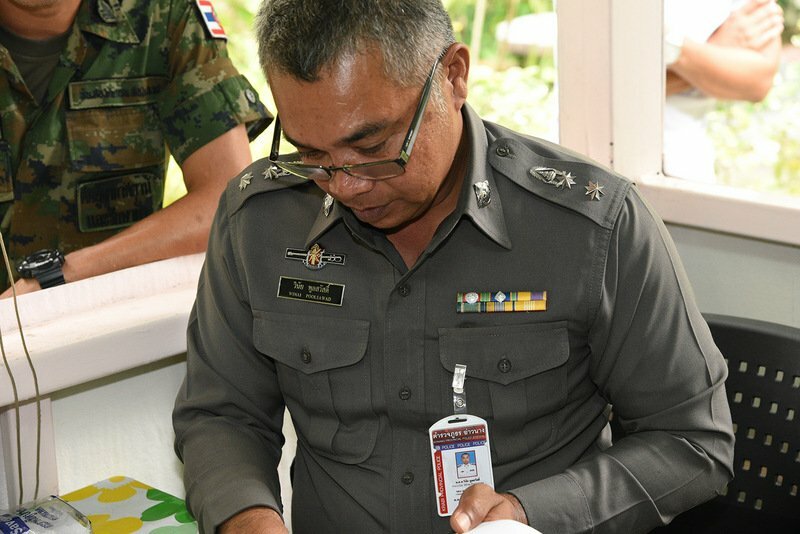 The new registration document, presented by Amazing Bukit Safari Camp in Chalong to Ao Nang Police Deputy Chief Lt Col Winai Poonsawat yesterday (April 3) now names the elephant as “Srinuan”. When initially defending its claim to the elephant, the camp’s owner presented registration documents showing the elephant’s name was “Nampetch”. In short, the camp has now presented two sets of registration documents for the same elephant, with the same registration information, including the same microchip number – but for elephants with different names. While the new registration document presented for “Srinuan” features all the same registration information as the documents initially presented for “Nampetch”, the camp has so far not offered any explanation for – or documentary evidence recognising – the name change. However, the camp still maintains it bought the elephant for B1.4 million in February from Raewat Chernkaew, 54, from Trang province. Mr Raewat has told police that he bought the elephant for B500,000 more than 10 years ago from a man he has so far named only as “Mr Norkam”, who he said he has not seen since. Col Winai, however, told the press yesterday that his officers had tracked down Mr Norkam. “He does exist,” was all Col Winai would say on verifying that lead into the elephant’s origins. 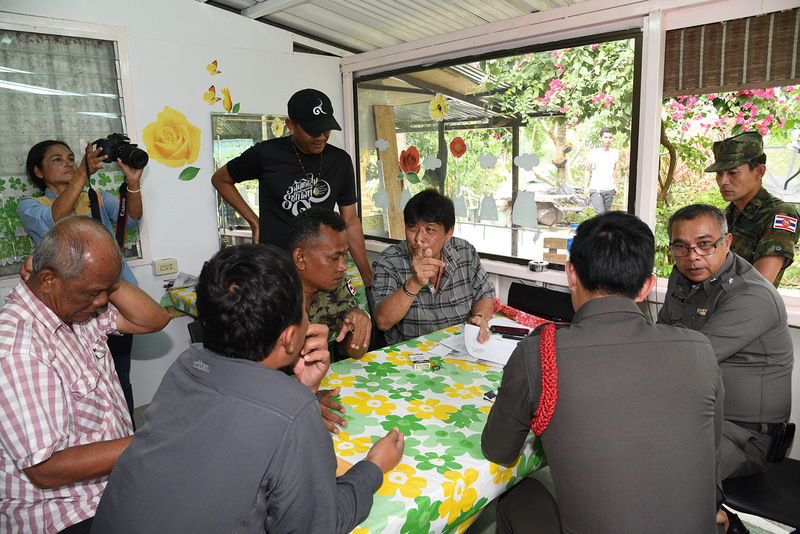 Col Winai has been tasked with leading the investigation into the ownership rights for the elephant after brothers Wan and Somsak Reangngern came forward last month claiming the elephant is actually called “Yo” and was stolen in Ao Nang, Krabi, in 2003. To support their claim, the brothers presented registration documents which included the microchip number 121-675-455 – which matches the microchip actually implanted in the elephant except it is missing the letter “A” at the end. Of note, “Yo” was reportedly pregnant when she was stolen in 2003. However, no officials have made any comments about attempting to track down her newborn. Col Winai said yesterday that he arrived at the camp in person to take “legal custody” of the elephant while his investigation continues, but said that the elephant would remain at the camp until further notice. He did not clarify whether the camp could continue to profit from the elephant during that time. “The elephant may not be moved outside the camp. The camp will have to take care of the elephant (while the investigation continues),” he added. Meanwhile, Col Winai will seek confirmation from both offices where the elephant was reportedly originally registered: one in Chumphon Buri District in Surin province in Northeast Thailand; the other in Mae Ramat District in Tak province on Thailand’s northwestern border with Myanmar. “We have to send a letter to the original offices to confirm which registration documents are authentic,” he said. “We will have to request for the Elephant Study Centre and the National Institute of Elephant Research and Health Service in Surin province to send a team of professional officials to check the elephant and the documents,” Col winai said. “The process will take time,” he added. “We believe that after we have confirmed the elephant’s actual identity we will be able to resolve this matter without the parties having to go to court,” Col Winai said. And where is the baby elephant this elephant delivered 10-12 years ago? It smells all very criminal, and Law enforcement authorities seem not willing to handle this whole affair seriously according the law. I agree Kurt. It's seems cut and dry who the owns the elephant. What a administrative dumb mess. What is going on? I was lauhging to read the present 'owner' came up with new papers with a new elephant name. What is all this nonsense.